At 9.30 this morning I was at the bike park ready to ride, and thanks to the shuttle, 15min later I was 300m higher near the top of the hill. 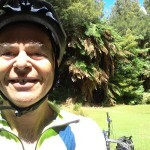 My first run confirmed my belief that the Split Enz / Pondys combination is the best downhill I’ve ever ridden. Then whoosh, back to the top. The track I chose next; Huckelbury Hound, turned out to be the one adrenalin junkies use. I got a bit over confident and had my first spill for a while. 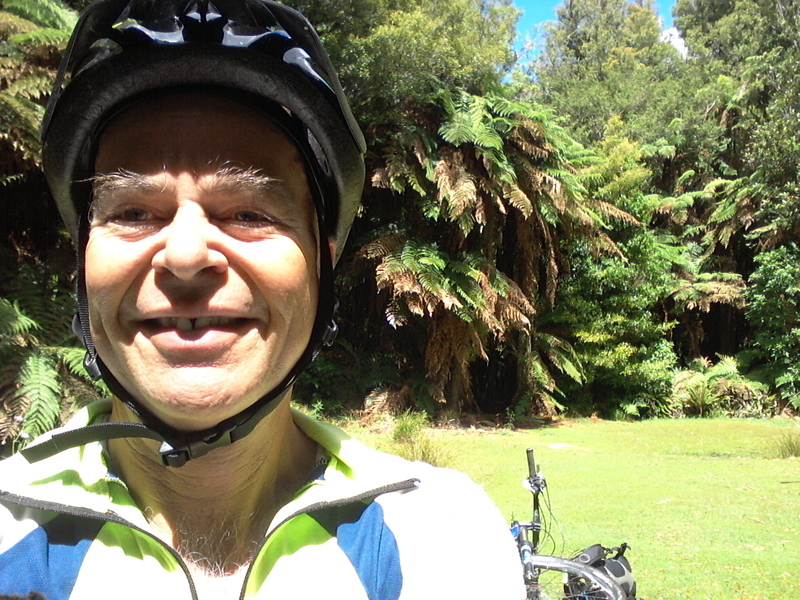 After lunch I rode the 4.5km Tuhoto Ariki trail, which travels through native bush near the top of the ridge. 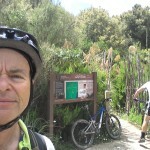 It was muddy and rooty, much more challenging than anything else I’ve ridden recently. I’m extremely knackered after almost five hours riding, and a long soak in the hot pool. Should sleep well (again) in the back of the wagon. Hi, You are going for it! I did not open this yesterday so have just caught up with your rides. Sure sound fun, except for the crash which are part of it I guess.